Ironic holiday sweater parties can happen spontaneously at all periods of your life, except post-40, when your wardrobe necessitates they become "holiday parties." 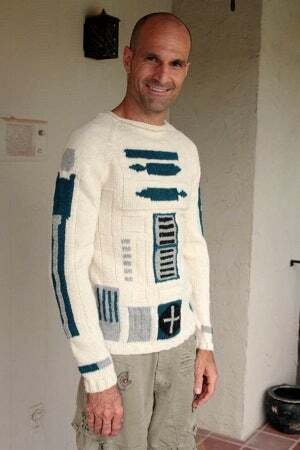 Good thing this custom R2-D2 sweater would be at home with any generation. Created by Etsy member EricaKnit, the droid-gauge weave is made-to-order, so have a tape measure handy.